True, technology has grown by leaps and bounds. In some sectors, it has even outsmarted the human brain. Hats off to James Cameron, who scripted the famous “Terminator” series. The first challenge may have come in the form of computer who played chess. Its skill proved equal to Masters such as Viswanathan Anand, Gary Kasparov. But that was a decade ago. In recent times, artificial intelligence has made a firm impact on many sectors. In this article, we give you details about the artificial intelligence industry in 2018. Even in 2018, the artificial intelligence segment is still in the nascent stage. It is hard to carve out the benefits of AI in all industries. But we have scourged the length and breadth of internet for six industries. These sectors have implemented AI in their work schedule. Do you have a business? Are you interested in automation and machine learning about your industry? Then it is vital you keep a eye on the technology trends and changes of application. Industry experts, specify AI can transform every industry in the future. It is human intelligence who designed permutations and combinations. The result was the computer brilliant than the best scientific minds in the globe. In similar fashion, the same Human intelligence can produce a computer machine. When fed every information on tasks, this machine can perform the tasks in a efficient manner. . These machines can, in the future, become the perfect machine to make decisions on their own. The two aspects needed are data storage and revision of technology design. With AI, businesses can automate the manual tasks, give the best services to their customers, analyze client behavior and cut operation cost. The previous sentence is a simple overview of the benefits of AI. The following paragraphs give a broad sample of how AI have shaped the following industries. Will we first start with the Finance and Banking sector? PayPal has brought down its fraud rate by making use of AI. In fact, the system can analyze transactions in lighting speed. International stock brokers also make use of AI in the trading segment. In investment management, AI can with precision point towards the highs and lows. A ML (machine learning) application can lead to designing a model, that can help in everyday task of financial management. It can also help assess quality of creditors. Customer service companies can get the best benefit. Example – client interaction software. Kindly visualize a situation. As medical science is growing by leaps and bounds, so are the number of new diseases appearing in the globe. Every year. And it becomes the more difficult, when a person’s medical data should need a analysis. Any mistake, in the medicine, or report can lead to loss of life or permanent injury. 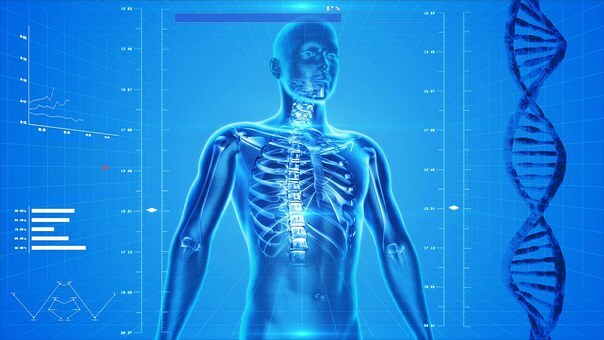 The medical data of an individual can contain complex information such as CT scans, X-rays, screening and test. By using the data and clinical research, the AI can specify the accurate personalized treatment path to a human doctor. So, do we already have AI in the medical field? You bet. Please read the following paragraph. You have the Babylon AI doctor app, which uses the speech recognition facility. It can provide counselling to patients after checking the symptoms in a database. The app can offer relevant treatment. Then you have the virtual nurses. Surprised? Check for Molly by Sense.ly. The program can connect the patients with medical services and clinical advice. The database is a classification engine. After the conversation by the patient, he/she gets a suitable response. Last, but not the least. There are many in store, but in this topic, it is. You have the Hanover project from Microsoft. It uses the sophisticated machine learning technology and processing of natural language. It then gives the most able prediction about treatment for cancer patient. When healthcare and finance industry have accepted AI, can the retail industry be far behind? AI gets used in many areas. The major benefit is in customer interaction. Not to mention the fact about follow-up leads. Majority of the sales is by analysis and individual preferences of the customer. Did you guess the software? It is chatbots and virtual customer assistants. AI computers can, with ease, solve the basic questions and there is no need of human staff. Let us step forward to e-commerce. Recommendation engines provide personalized preferences of customers to generate revenue. They do this by means of the predictive analysis software. Then you have the Darwin pricing software which is a Godsend for retailers. A retailer can give discounts at various locations as per the price expectations of customers. The Darwin pricing makes use of artificial neural networks. Now, you come to mother segment of all industries. Technology. Contrary to designing AI, this industry also makes use of it. Even tech giants such as IBM, Google have acquired small AI companies. The reason – to give their products a competitive edge. Will we take the example of Apple? Every two years or so, it announces a version of the best product. And the numbers get completed in no time. The new version model has features, more advanced than the previous model. So, when the buyer gets a doubt, the call goes to the service center. Now, with chatbots and virtual customer assistants, Apple can solve the doubts. It is not only the chatbots. Tech companies have moved further into the lagoon. How else can you explain the arrival of Google Home, Siri from Apple, and Cortana from Microsoft? The neural networks get used for analysis of human language and give the best responsive answers. When the customer can get a best response, will the translation in communication be far behind? The revolution has happened. Now you can use AI in Skype messages. Even Google Translate makes use of a machine translation system to provide the perfect meaning of the words between language. Are you a fan of Facebook? Then you know that there is no need to enter the password. You can make use of the face/image recognition. The much needed field for Artificial Intelligence. If there is a sizable section of population, who can get the most benefits from AI, it is the handicapped students. Now, software makes it possible to teach personalized sessions. It is even possible to cater educational content as per the needs of every student. Data analytics is the big picture. Teachers get precise data on the learning patterns. They can change the learning process according to every student. Oregon University makes use of new AI technology. It is to change the training material for the hardest courses as per the student’s learning potential. University of Michigan makes use of a ATA (automated text analysis) to give feedback on the writing assignments of students. This program can identify the strengths, weaknesses of a student, and if possible, suggest revisions. Artificial Intelligence, as per a common man, should be made the most usable in the energy sector. To be honest, it is mandatory. With the rising environmental pollution around the globe, the future of AI in this industry should be to make the energy systems cleaner and reliable. In fact, they should have the most affordable price. Agreed, artificial intelligence is still in its infant stage. But it has already begun to revolutionize every industry. It is a heartening fact, that many Governments, universities, company giants have jumped on the bandwagon. 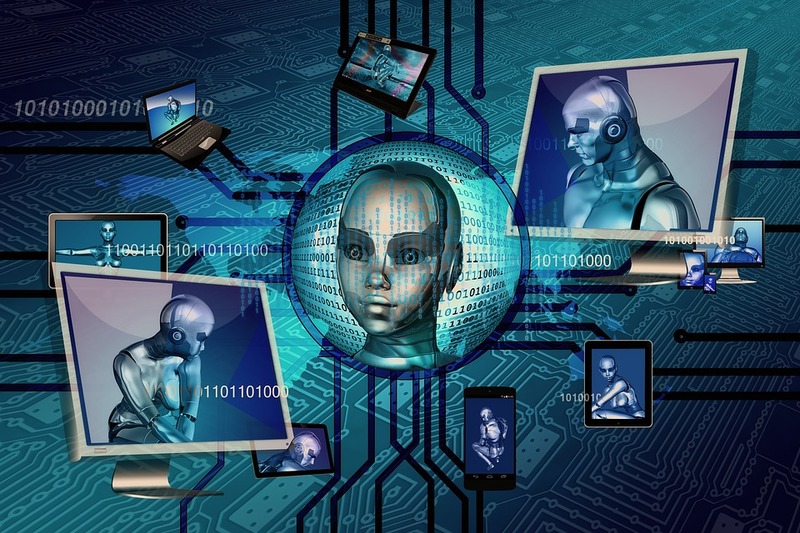 They have pinned their hopes on AI because, by making use of the new technology, it is possible to gain competitive advantages and move on with the trend. With luck, business giants can outsmart their competitors and even become market leaders. Now,let us take a easy case study. You have a home maintenance company catering to microwave oven service in Hyderabad. The company has grown by leaps and bounds. Now, the technical team wants to set up automation in the customer service sector. So they design a chatbat with the best technical features. It was to interact with the customers who call after 7 pm. You take every information from the content management system about the customer queries. Then the info gets transferred to the AI computer system. Within a month, the response was favorable. Now you plan to spread the news to your business friends. Have you gone through the article? We have outlined just six industries where AI has made an impact. Have we missed a point? Then feel free to put a line in the review section. What Works Better – Staff Augmentation Or Managed Services Model? What Are The Fastest Cars in the World?